These tips might be helpful for those that are anywhere close to trying there luck with playing the odds at NCAA 2019 tournament. Read ON! Like every year, there are a few odds-on favorites that have the required talent and coaching to make it all the way to the top. Among them, Mike Krzyzewski's Duke is once again top dog, with a 53% probability of emerging as champions in April. 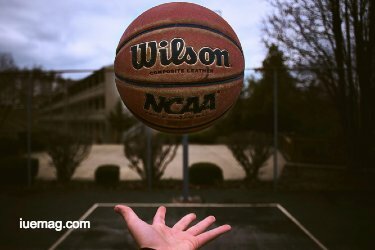 Other teams to watch out for are Gonzaga, who has consistently disappointed in recent years but look set to continue their dominance in the West, and perennial contenders the Kentucky Wildcats, the John Calipari-led squad that have produced numerous NBA-ready players throughout time. Aside from full-on favorites, each conference has several key sleeper candidates or teams who, given a decent draw and a little bit of luck, could easily sneak their way into the Final Four or beyond. This category includes Florida Tech, known for their dominant defense and balanced roster, Villanova, who have already won two of the past three NCAA titles, and Auburn, who've had a string of great wins recently that established their rising status. We also suggest staying clear of teams that look good on paper but whose play hasn't checked out so far, including high-seeded picks like Marquette and LSU. Favorites and sleeper candidates are safe bets when it comes to reaching the later rounds, but each year March Madness surprises us with a host of Cinderella runs, also known as teams who go above and beyond what's expected of them. Needless to say, betting on such teams can reap considerable profits, especially as we get into the later rounds. In this respect, the Oregon Ducks have a puncher's chance thanks to the exploits of 7-foot-2 phenom Bol Bol, while the Florida Gators can never be discounted due to their past successes. It's important to note that betting on winners and losers is not the only way to make money during March Madness. There are many other variations, including betting on the total points line or on specific player performances. To increase your odds, be sure to study each team's profile, their strengths and weakness, and compare past results to better predict their future performance. There are also plenty of free guides and instructions available that can help you learn the intricacies of betting and ensure that you go into the experience well prepared. As you can see, there's more than one way to go about things if you're trying to have a profitable March Madness. But if you follow the aforementioned tips, you stand a good chance of increasing your net worth this year. As always, be responsible whenever you engage in betting practices and never risk more than you can lose. Note: iU eMagazine doesn't endorse betting or any of its affiliates or variants. The facts are also a collection of received inputs from varoius anonymous sources. Any debats can be pursued in the comments section below. Any facts, figures or references stated here are made by the author & don't reflect the endorsement of iU at all times unless otherwise drafted by official staff at iU. This article was first published here on 8th April 2019.